TB BAG model is the perfect solution to ensure maximum operator safety during vacuuming of fine, toxic or harmful dust including asbestos. The LONGOPAC system with anti-static bag prevents dust from coming into contact with the operator, can collect them, without the risk of inhalation. 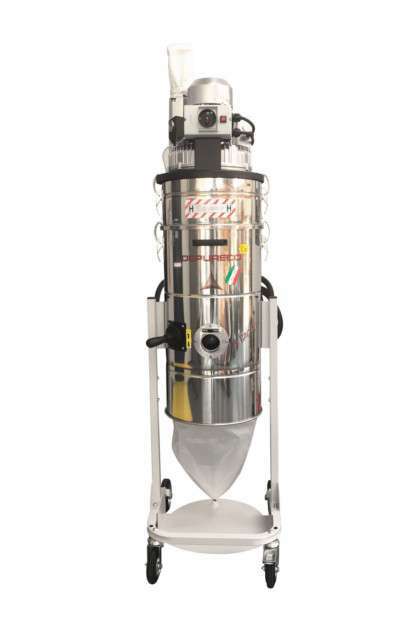 The standard Depureco TB BAG is equipped with safety relief valve, AISI 304 stainless steel filter chamber and dust container, anti-static filter “M” class and post filtration on exhaust air.